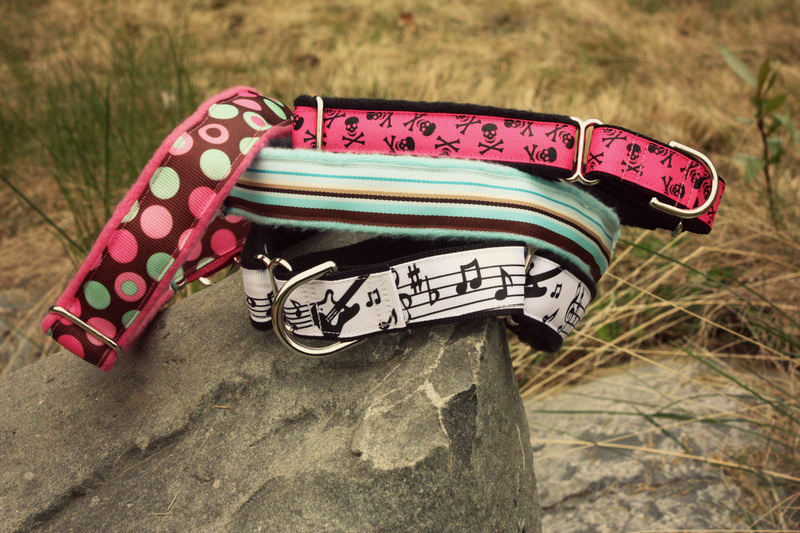 All our collars are handmade using high strength webbing as a base, followed by cozy fleece and topped with grosgrain ribbon or cotton fabric. 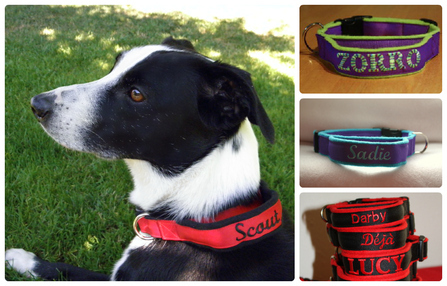 They are super comfortable for all dogs to wear and won't break coat like a traditional collar can. Click the picture below of the collar that interests you to learn more.